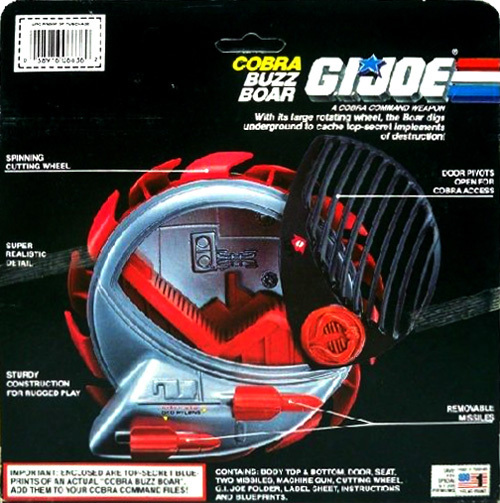 Cobra Buzz Boar courtesy of the Yo Joe Outlet. 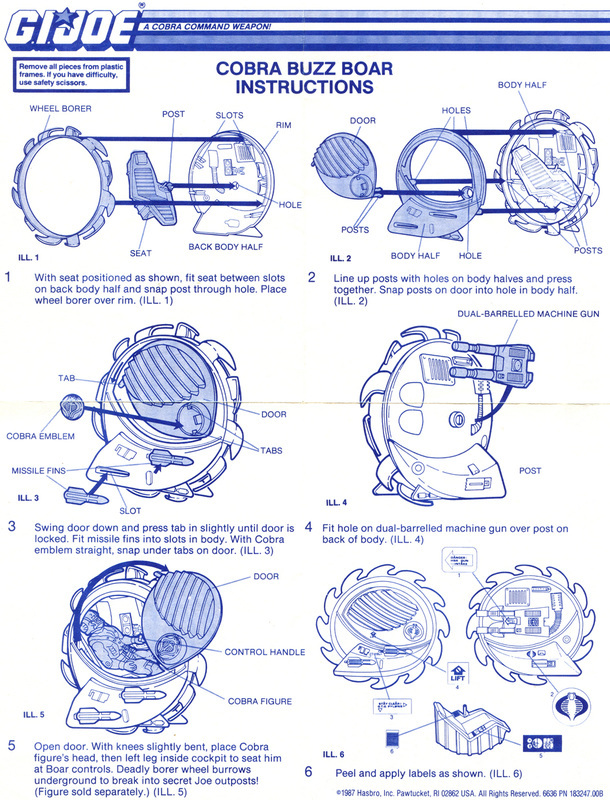 Please visit them on eBay. 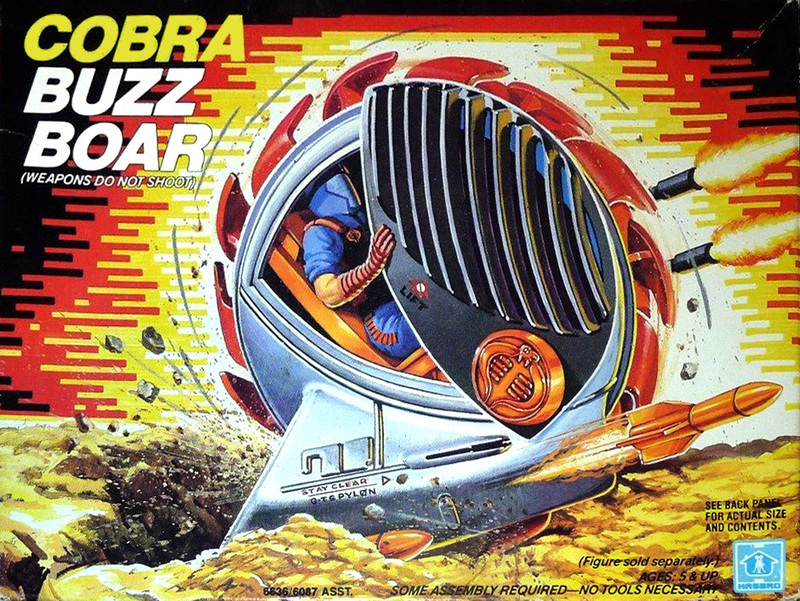 NOTE: Although the box art shows a Viper manning the Buzz Boar, and he's pictured above, a Viper did NOT come with the Buzz Boar. 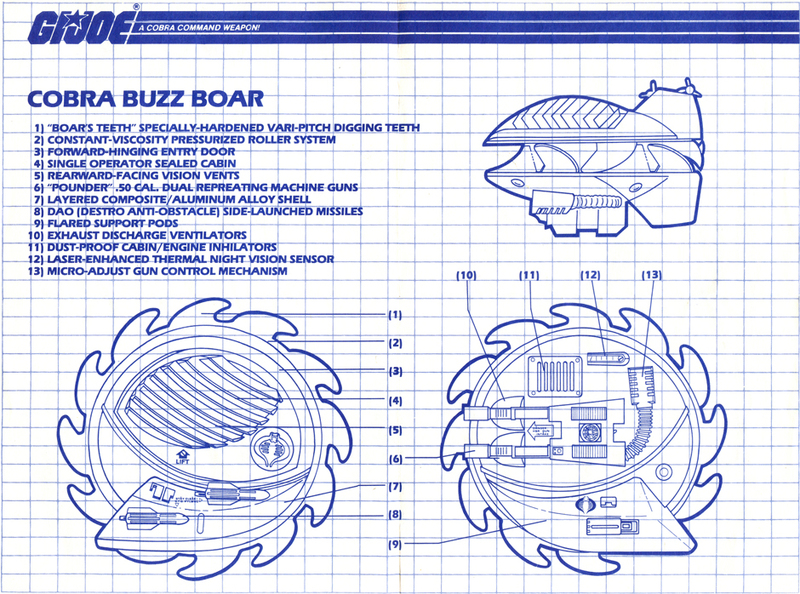 Cobra Buzz Boar blueprint/instructions courtesy of Tim Dz.